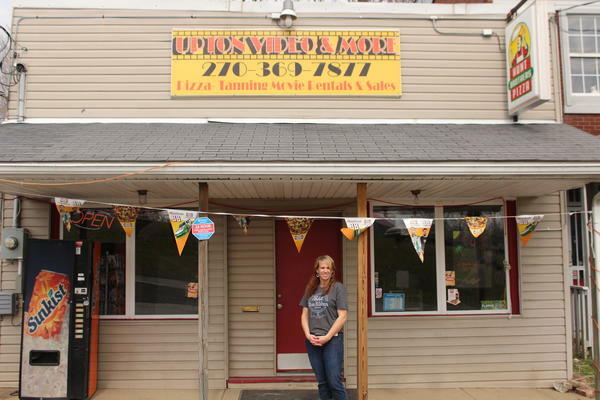 One local store that started out only renting videos now offers so much more to the community. Upton Video and More is located on 108 Money Court in Upton. Owner Karina Neal bought the store in 2011. 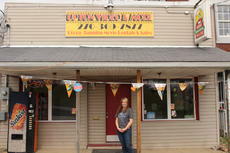 Upton Video and More is located on 108 Money Court in Upton. The store sells and rents movies. They also have a restaurant that features several food items including pizza, chicken wings, nachos, hamburgers, chicken strips and more. The also have two tanning beds. Owner Karina Neal said she worked at the store when it was owned by Susan Dye and called Upton Video. When Dye wanted to sell the store in 2011, Neal bought it from her. After buying the store, Neal said she changed the name from Upton Video to Upton Video and More because she wanted to add the carry out food items and tanning beds so she could better serve the community. Upton Video and More is open Monday through Thursday from 11 a.m. to 8 p.m., Friday and Saturday from 11 a.m. to 9 p.m. and Sunday from 2 p.m. to 8 p.m. For more information call 270-369-7877.